Redecorations can be really messy. No one wants dust and dirt in the living space. So, everyone needs a cleaning after redecoration. Did you redecorate your home recently? You did it by yourself or with professional help? In both cases, you would agree that the post-redecoration cleaning is one of the hardest tasks. Proper cleaning is the key to minimizing the mess during your renovation. Make sure that all space is properly cleaned when you complete the job. You can start with cleaning by yourself, but if you don’t have the right equipment you should hire the help. The best way is to let New York cleaning services help you and clean your space. If you need one time clean, a deep clean, etc. 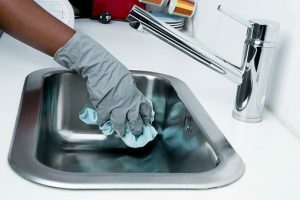 you should connect with a cleaner that can solve all of your cleaning problems. When you redecorate your home, keep in mind that no one contractor will clean your house after the job is done. They can just wipe with a broom but that’s all. Anything beyond this you will have to do or cleaning professionals. Cleaning after redecoration is not easy so you need to have patience and the right equipment. You need to arrange deep clean up after the major renovation. When you decide to redecorate your home you should include the costs of cleaning too. So, the price will not be surprised when the renovation is over. You should be aware that cleaning after redecoration isn’t cheap. For example, estimates from several different NYC cleaning companies for a 1,400-square foot duplex apartment ranged from $900 to $1,500, while prices ranged from $1,800 to $3,000 for a 2,800-square foot house. When you see what you need to do after renovation, you should ask yourself do I need a cleaning help? Before you hire experts for cleaning ask yourself: do you have the time and energy? How long will it take? And do you have money for cleaning budget? After the redecoration, almost everything in your house is dirty. And there is need to hire professional house cleaning services unless you are a professional house cleaner. Imagine the dirt on the floor, ceiling, walls, carpet, curtain, bedrooms, toilet, in every corner of your home. And all of that needs to be cleaned. For example, if you are not a professional carpet cleaner you will need someone to clean it. Post-redecoration cleaning is a marathon. You don’t want to let layers of dust to ruin the look of your newly renovated home. So, if you want that your house looks really clean and amazing after the renovation, think to spend money on the professional help. And then you can just sit back and enjoy your new space. 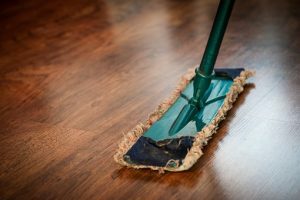 Before you start the cleaning, the first thing you need to do is to dust only in the work area. It will save you some time and energy when cleaning after. And it protects you from dust toxins. When you do it, it is time to store your personal belongings and things. The dust can go everywhere and is almost impossible to locate it only in the work area. You also need a vacuum cleaner and a mop. Try to find the proper ones, because you will need it in all cleaning process. They are not things you should neglect. These are tips that will help you in your cleaning process but this job takes a lot of time and energy. So, think again to hire professional help. They will do it perfectly. It is not easy to dust and clean the dirt in the carpets, curtains and upholstered furniture. So, vacuum all the surfaces and to pay attention to the details. The most important thing here is to use the vacuum cleaner with the fresh filter bag. Also, it should have maximum effectiveness. 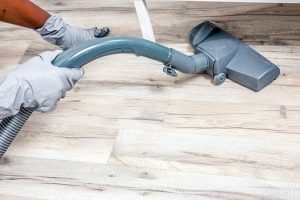 For hardwood floors, it is the best to use the floor brush attachment because the vacuum cleaner can scratch your floor. Star to wiping the dust from your walls. Also, clean the interior shelves of all cabinets. Also, give a look at hard-to-reach corners. These all places are full of dust after the construction and redecoration. So, sweep out any visible dust, and mop your hard floors from wall to wall. Keep in mind: If your walls are painted recently, you must wait for the paint to dry completely before you start wiping the walls. But if your walls are not painted, before you start wiping or vacuuming the dust from it, cover the furniture to protect it. In the case of wallpapered walls, the most important thing is to clean it with the broom first. 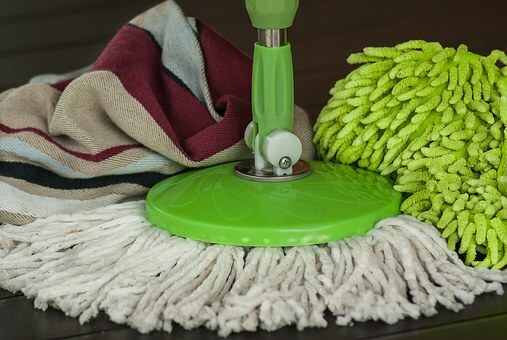 After you clean the dust you can wash them with warm water and a soft towel. After the major renovation dust will be in the air and in your vents. So, it is really important to clean and treat air vents and to replace the filters. Remove the vent covers and clean it with soap and warm water. Replace the air filter before you replace the vent covers. Cleaning air vents is very important if you want to avoid allergies and respiratory issues when you breathe the dust. Also, an important step in post-redecoration cleaning is to wipe and clean little things that you can forget. For example, things like light fixtures, lamp shades, electronics, small appliances and decorative items and anything that is in the zone of renovation.